We thrive to continue to improve our Hawaiian Fusion Menus every year. 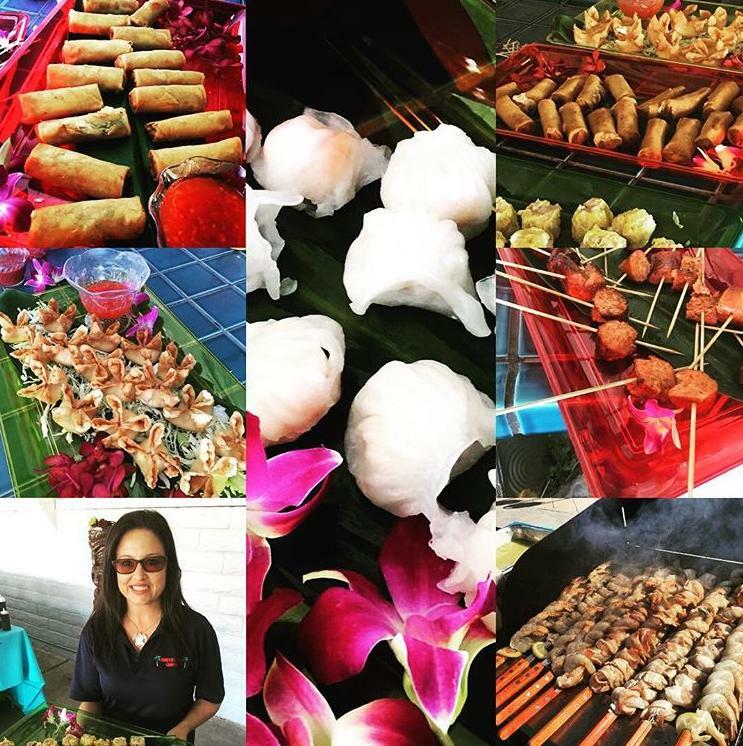 We are dedicated to traveling around the world to take Hawaiian Catering to a whole new level by embracing the diverse culture. 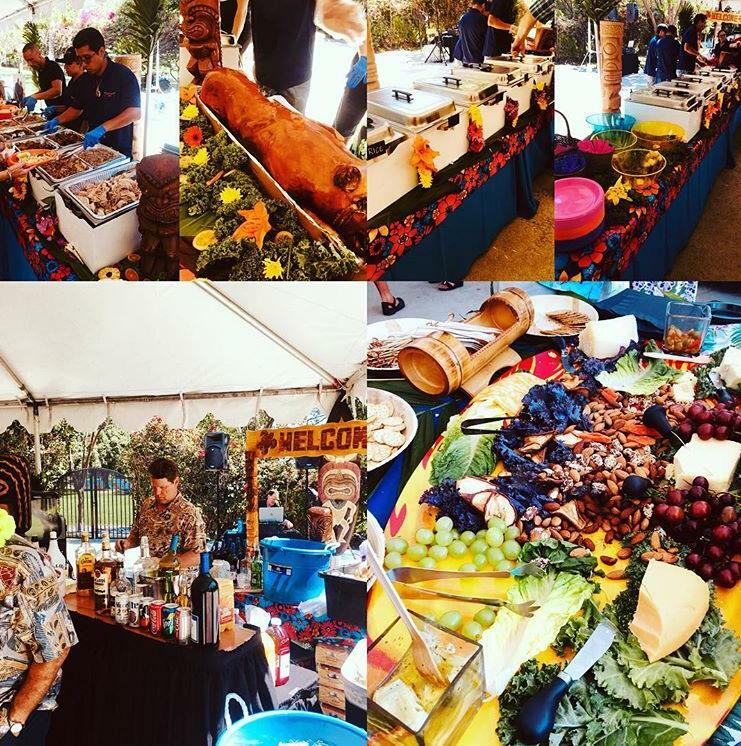 Please refer to our description below for "Catered" and "Luau Buffet Catered". 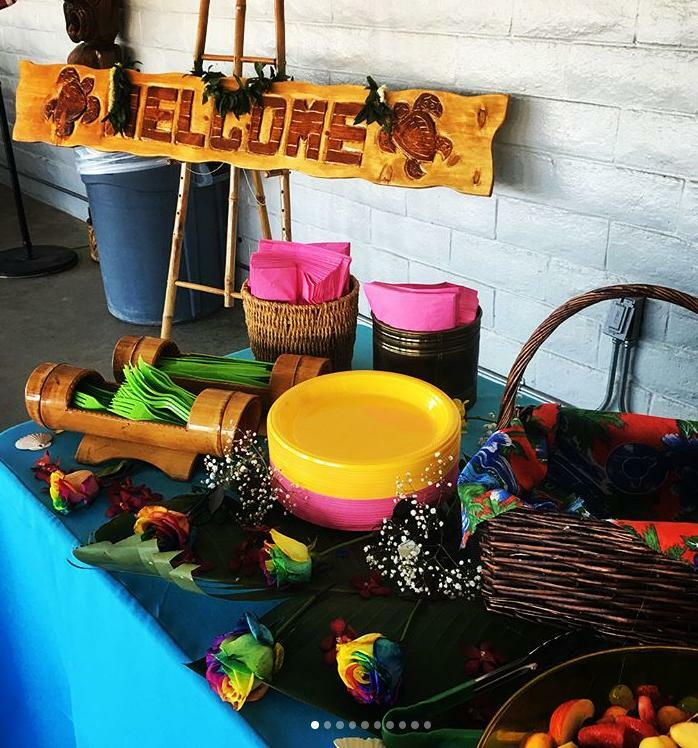 Our clients can now customize their Luau to specifically fit their desired budget. Kalua Pork (Regular or Infused Cilantro Lime Sauce), Flame Grilled Hawaiian BBQ Chicken, Furikake Rice with Roasted Shiracha Sesame Seeds or White Rice, Kalua Lumpia Egg Rolls or Veggie Egg Rolls, Sesame Green Salad with Edible Herbal Flowers, Grilled Veggies or Grilled Pineapple, and Potato Mac Salad. 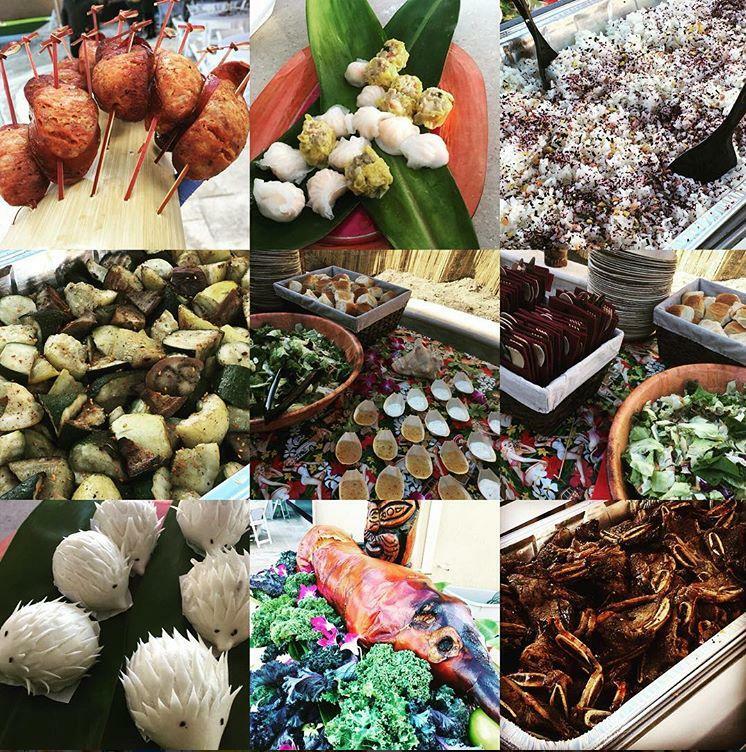 We will provide catering staff for 2 hours that will bring the buffet tables, linens, Hawaiian Fabric Overlay, chaffing dishes, sternos, serving utensils, and disposable. We will charge $40.00 an hour after 2 hours of catering service. Setup/Serving/Tear Down Included. In addition to this package will include Luau Buffet Decorations.